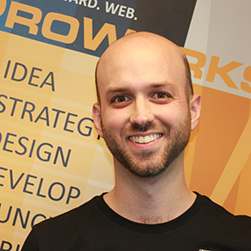 Josh Seifert is a project manager at ProWorks. He waxes effusively about the content editing experience in Umbraco, and involuntarily shudders when being asked for “widgets” and “plugins”. 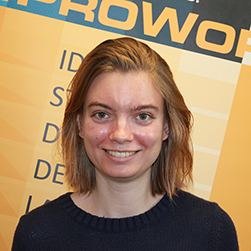 Catherine Stevens is a Certified Umbraco Developer and does front-end web development at ProWorks, a Gold Partner Umbraco agency in Corvallis, OR. Mark Mars is a confessed internet addict since its inception and has a passion for helping businesses, large and small maximize their investment in their digital investments via web design and digital marketing. 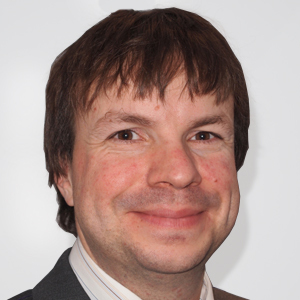 As a Senior Application Development Consultant at Microsoft for over a decade he advised some of the largest organisations in the world how to get the most of the Microsoft platform following industry best practices. Passionate about innovation, he decided to become master of his own destiny in 2012 when he started Perceptive Flow, with the aim to become a recognized industry leading digital agency. Perceptive Flow have been recognized for the work they do at Industry Award events. Welcome to episode 15 of season 2 of Happy Porch Radio! Season 2 is all about Umbraco, and sadly we are nearly at the end of the season – but fortunately we have 2 (actually 3) amazing guests on the show this week! We are continuing our journey with two very different conversations from two Umbraco focused agencies. First you will hear from Josh Seifert and Catherine Stevens, who are project manager and front end dev respectively in an agency called ProWorks. Josh and Catherine share their prospective and learnings from working “at the coal face” within ProWorks, plus they talk about a presentation they did, discussing WordPress and Umbraco, at this years uWestFest Umbraco festival. One of the really valuable aspects of this conversation, for me, is the emphasis that they put on the editor experience. You will also hear from Mark Mars, who founded the agency Perceptive Flow. Mark shares the story of his agency and shares some really valuable insights. We also touched on one of my favourite topics – ongoing support and retainers! Many, many thanks to Mark, Josh and Catherine for giving us their time and valuable insights. How the ProWorks folks use inherited or ‘hand me down’ Umbraco websites as an opportunity to learn and improve their skills. ‘The WordPress Mindset” and how it impacts Umbraco led agencies. Why you have to be explicit to new clients about what your agency and Umbraco can do. The ‘wet behind the ears intern’ benchmark that ProWorks uses to make the Umbraco back office experience as straightforward as possible. Josh’s very helpful furniture shopping analogy explaining the difference between a custom site built in Umbraco and a WordPress template loaded down with junk. Why it’s the agency’s job to keep ongoing clients informed and updated on the capabilities of Umbraco. How Mark’s creative side led him from building boring functional applications to building a leading digital agency. Why Mark chose to work almost exclusively with Umbraco at Perceptive Flow. How the Umbraco 7 update changed the pitching and proposal process for Mark. What Mark does when the client must have a CMS that Perceptive Flow doesn’t cover. A detailed look at the retainer services Perceptive Flow offers. Mark’s highly positive experience with Umbraco Cloud so far and why Perceptive Flow offers discounts to new clients if they go with Umbraco Cloud.